0.5 oz. cup of Jam Fancy. Grade A. Made with ingredients from natural sources. 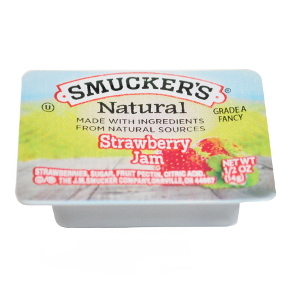 Ingredients: strawberries, sugar, fruit pectin, citric acid.